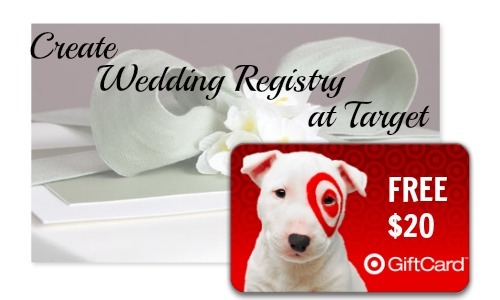 If you are engaged, starting 2/15, you can get a $20 Target Gift Card when you create a wedding registry. The deal is valid for the first 22,500 couples to create their registry. If you’re within this number, you’ll have to have at least $500 worth of items on your registry to qualify. The great thing about this deal is you won’t have to wait in line at the store to participate. Just create your Wedding Registry online. This deal is only valid between 2/15 and 2/21. Limit of (1) per couple.